Zetta Ventures from San Francisco led our Series A round, co-led by Deutsche Invest Capital from Munich and Mike Chalfen from London, with participation from Momenta Partners and existing investors Draper Esprit, Vito Ventures, as well as Solomon Hykes. This brings our total funding to $17 million since we started Crate.io back in 2013. We are also welcoming our new Board of Directors: Mike Chalfen, Ash Fontana, Torsten Kreindl, and Stuart Chapman. We have worked hard to get to this milestone, and it is a remarkable success for the team. In this post, I am going to share some of my thoughts on where Crate.io is now, and what we want to be doing in the future. We started as a small team, high up in the Alps of Austria, with the grand tradition of Snowsprints. With the help of the funds from our seed investors, we expanded to Berlin and then San Francisco, London, and New York (I mean Brooklyn!). Today, we are a team of 30 "Craties" working hard to develop this great technology. A distributed SQL database is a tough thing to build! Over the last few years, we have released over 275 versions of CrateDB. Last year, we introduced the Enterprise Edition of CrateDB, and today we are announcing a new product, the Crate Machine Data Platform. We're a small team, but we get big stuff done. We’ve also enjoyed the growth of the CrateDB open source community and customer base. There are over 500 production CrateDB clusters running today (that we know of), and many companies, from startups to billion-dollar enterprises that trust and rely on CrateDB. And IT machines! CrateDB is used by McAfee to analyze network traffic for half of the F500 companies to prevent cloud security breaches, by processing over 10 billion rows of new security data per day. This growth has enabled us to meet lots of great CrateDB community members. We have processed thousands of pull requests and answered many, many, many questions in our support channels. We love making our users happy. It’s a wonderful feedback loop! All of this underlines our core vision: the next big thing for data is machine data, and there is a growing need for specialized management solutions for that data. It is clear to us that there is high demand for technology that makes it easy to put machine data to work, in across many fields. 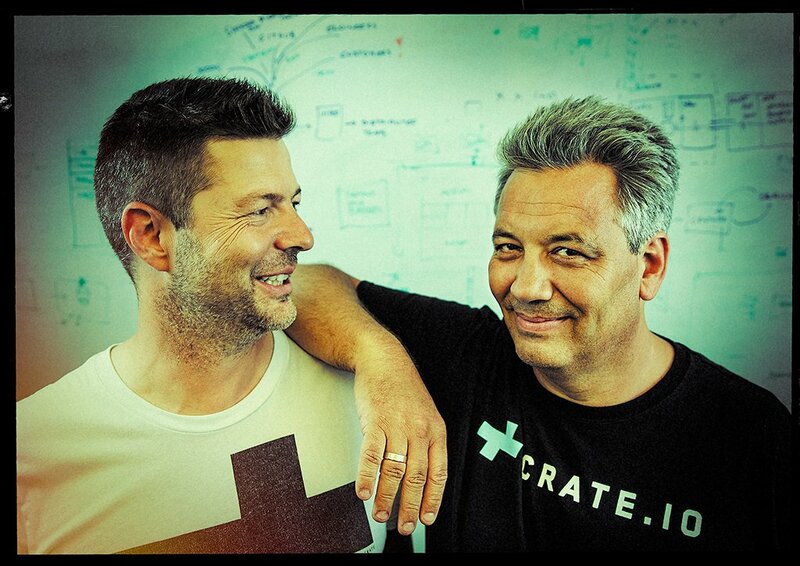 And so, today, we announce the Crate.io Machine Data Platform, aka Crate.io MDP. The Crate.io MPD makes it even easier for companies to put machine data to work. Powered by CrateDB 3.0 (also new! ), the Crate.io MDP is a fully featured data layer for machine data and Internet of Things (IoT) applications. Crate.io MDP is a Kubernetes container environment, which secures and scales CrateDB in the cloud (or on-premises), along with customer data loading, data enrichment, analytics, visualization and alerting code. Lots of companies need to put machine data to work, but few have the cloud-native software expertise (or the patience) to build it. So we built it for them. Our Series A funding will help us accelerate development on the Crate.io MDP and its engine, CrateDB. Here are the ways we plan to invest our new funding into the business, and the Crate.io customer experience. We will put more energy, creativity, time, and resources into a faster, more feature-rich, and rock-solid database solution for many machine data use cases. It is early days in artificial intelligence, machine learning, and IoT. But we will be keeping a close eye on this area. And we will continue to innovate data management and distributed processing technology, enabling users to apply sophisticated analytics to their data and put it to work in new ways. Please continue to post your wishes and requests on Github and let us know what features, connectors, or integrations you need. We are proud to have a great distributed team, who work well together and help us live our values every day. With this funding, we will be able to grow each of the existing teams in Dornbirn, Berlin, London, San Francisco, and New York, so that we can expand and support our user base. Check our job openings page if you're interested, or reach out. We plan to maintain Europe as our engineering center, with Berlin, Dornbirn, and London at its heart. In the US and also in Germany we will add more sales and marketing team members to help spread the word. And of course, we will have support engineers and pre-sales in the US as well as in Europe. CrateDB was one of the first distributed SQL databases built with a NoSQL inspired architecture (shared-nothing, scale out, document support, real-time, search, high-availability, sharding). This approach allows mainstream SQL developers to meet demanding data management requirements–scale, data structure complexity, query speed, versatility, and high-availability. Over the past five years, we have made significant progress and laid the technical foundation to do this. We will use the funding to increase the size and vibrancy of the Crate.io user community. We want to connect with more users and enable them to communicate with each other in their mutual efforts to put machine data to work with CrateDB. We will continue to work very hard to produce meaningful content, case studies, and more lighthouse references to help communicate the virtues of CrateDB to those who might benefit from it. We have also just signed a partnership with Microsoft, who is going to co-sell Crate.io projects. We will also continue to expand our network of implementation and channel partners to extend our customer reach. There's a lot of machine data coming, and we want to help everyone put that machine data to work. That's a big mission, but we are up for it, and we are psyched to begin this next chapter happen. If that sounds like something you're interested in, as a team member, contributor, or customer, we want to hear from you! Thank you to all of our early adopters for supporting us and we look forward to meeting more of you as we continue on this journey.